All Rogers Ranch UT-P! 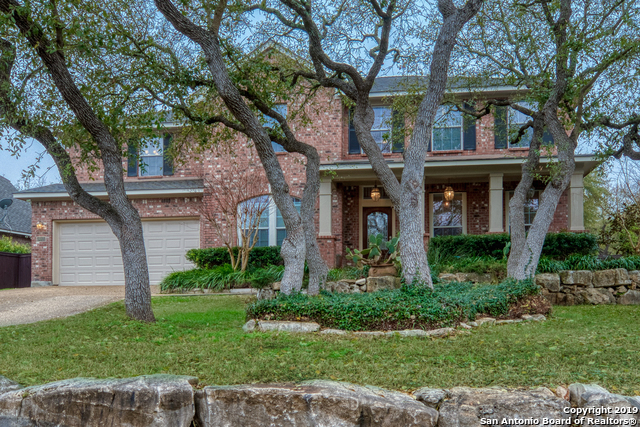 homes currently listed for sale in San Antonio as of 04/22/2019 are shown below. You can change the search criteria at any time by pressing the 'Change Search' button below. "Sit on your covered porch at this outstanding Rogers Ranch home which sits high on hill overlooking mature trees. Some outstanding features include:3 car garage, downstairs 5th bed/bath or study, light hardwoods thruout downstairs, chefs gourmet kit. w/ granite & gas cooking.4bed/3 baths up with huge game rm. Looking out the downstairs Fam. rm. is your vacation paradise with covered arbor, sparkling pool & hot tub on.3 acre lot."